The Highlight: Splurge on Ithaafushi Island, the resort’s private island accessible only by yacht. With a three-bedroom beach villa, two-bedroom overwater villa, a multitude of pools and dedicated staff—it's just the place you'd like to get stuck in. This year, there are a number of heritage hotels reopening following extensive refurbishment, including Raffles Singapore and the equally iconic Belmond Cadogan Hotel London. Originally The Cadogan, the 130-year-old hotel has a colourful history (Oscar Wilde famously awaited his arrest here, for instance) and is set to begin a new chapter under the Belmond brand. The Highlight: Every Belmond endeavour is sure to have a solid culinary offering. Next time you're in London, reserve a table at flagship restaurant Adam Handling, Chelsea, which will serve modern British fare highlighting seasonality and sustainability. 20 years after entering the scene, Ace Hotel has finally landed in the destination of their dreams—Japan. A favourite of creative nomads the world over, Ace has revolutionised the hospitality industry by democratising design, championing local brands and crafting multipurpose spaces. Case in point: They pioneered lobbies that double as co-working spaces at Ace New York, something that has become the norm. The Highlight: Ace Hotel Kyoto makes up one part of the redevelopment of ShinPuhKan, so there’s lots to discover within the building, as well as in the neighbourhood, to delight culturally curious local and foreign visitors. The Highlight: This hotel isn’t just for savouring Napa’s best Cabernet Sauvignon, but is positioned as a relaxing destination for the entire family. There’s a spacious spa with 8 treatment rooms, two outdoor pools (one reserved for families) and a “Kids For All Seasons” programme. The Mandarin Oriental Wangfujing marks the brand’s debut in the Chinese capital. Located just a 15-minute stroll from the Forbidden City, the hotel benefits from its location within the upscale shopping district of Wangfujing. Occupying the two top floors of lifestyle retail destination WF CENTRAL, the 73-room boutique hotel also features a 25m lap pool with sky roof. Key historical sites including Tiananmen Square, the National Museum, and the National Art Museum of China are all within walking distance, and so are the charming hutongs (alleyways) of Beijing. The Highlight: With entry-level rooms measuring 55sqm, the hotel promises the most spacious accomodation in the capital. Many of the rooms enjoy a view of the Forbidden City (the Mandarin Room has a panoramic one) and come with luxurious amenities including Dyson hairdryers and Diptyque toiletries. The sensitive conversion project aims to protect the original fort structure while adapting it to modern needs. 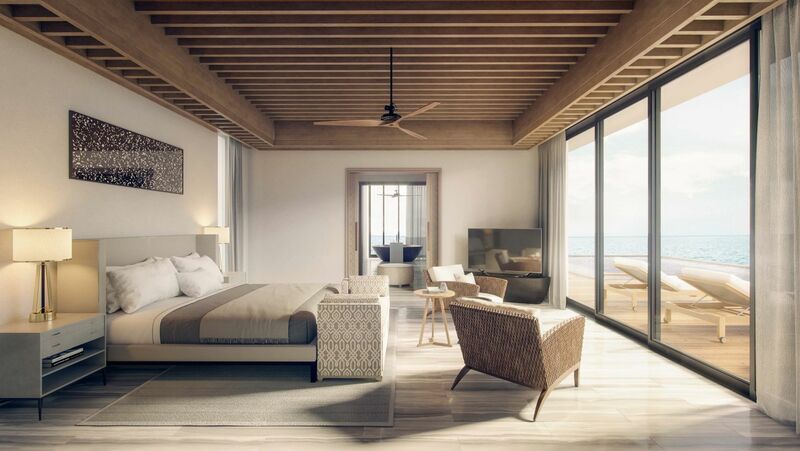 Sitting on 2.2 hectares of land, the hotel will feature 48 suites, two restaurants, a bar and lounge, and a Six Senses Spa. The latter is to be housed in the original women’s palace and will offer comprehensive Ayurveda treatments alongside the brand’s myriad wellness programmes. The Highlight: Guests craving an adventure can sign up for the daily safari drives at the nearby Ranthambore National Park. Just 30 minutes from the property, the sanctuary is home to a formidable tiger population, leopards, sloth bears and other wildlife. In harmony with the pristine surroundings of Pokhara Valley, The Pavilions Himalayas Lake View follows in the green footsteps of its award-winning sister property, The Pavilions Himalayas. Getting to the resort is an experience in itself—one must take a paddle boat across Phewa Lake, the second largest lake in Nepal and ground zero for all of the attractions in the valley. A high thread count and large square footage used to be the measure of a standout hotel. Today, distinctive interiors and a strong point of view matter much more. This is what British hospitality brand The Hoxton trades in, and their "individual, open-house hotels" are as much a hit stateside as they are in Europe. Find out more about One and ONly Desaru Coast at oneandonlyresorts.com. There’s nothing like a good comeback story and the return of the Orient Express brand—136 years after it took its maiden voyage from Paris—is one for the books. Housed in King Power Mahanakhon Tower, which at 78 stories high is currently the tallest building in Bangkok, sets the stage for the brand's grand entrance.